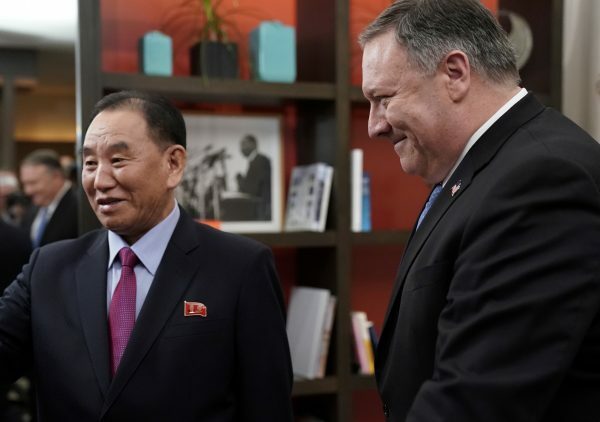 The announcement came at the White House on Jan. 18, after Trump met with a North Korean envoy. 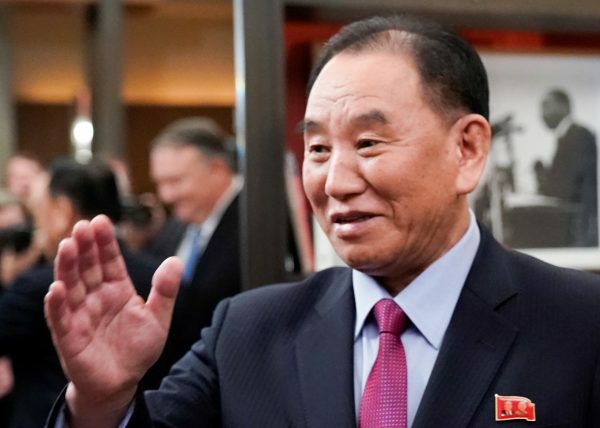 The former North Korea former spy chief met earlier with Secretary of State Mike Pompeo at a Washington hotel. 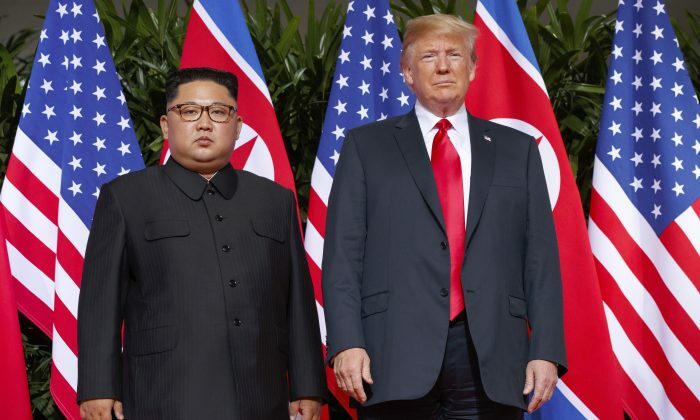 Trump has spoken several times of prospects for a second summit with North Korean leader Kim Jong Un early this year. He’s also exchanged several letters with Kim. 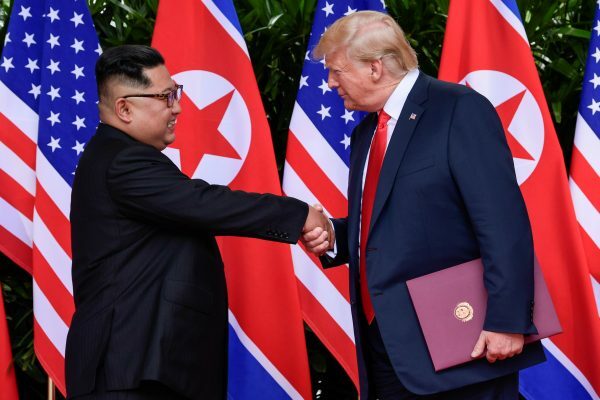 President Donald Trump and North Korea’s leader Kim Jong Un shake hands during the signing of a document after their summit at the Capella Hotel on Sentosa island in Singapore, on June 12, 2018. (Susan Walsh/Pool via Reuters/File Photo)Trump had his first, historic meeting with Kim Jong Un last June in Singapore and reached a denuclearization agreement.